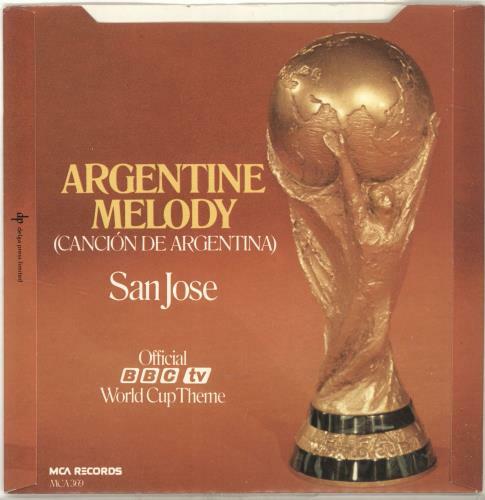 SAN JOSE Argentine Melody (Official 1978 UK 7" vinyl single with intact four prong centre, featuring the BBC's official World Cup song for 1978 and also includes 'Strung'. The card picture sleeve shows just a little shelfwear at the edges and the vinyl remains appears barely played. 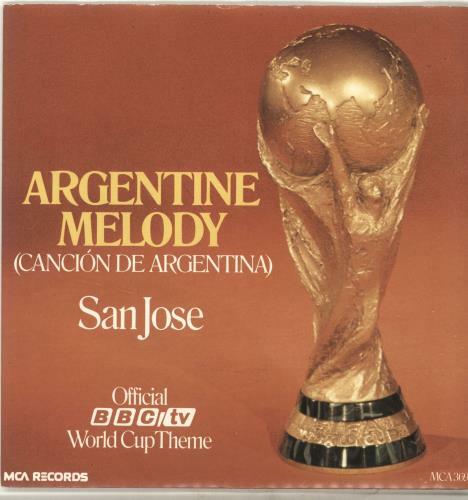 This is the first time we've seen a copy complete with picture sleeve for twenty years! MCA369).